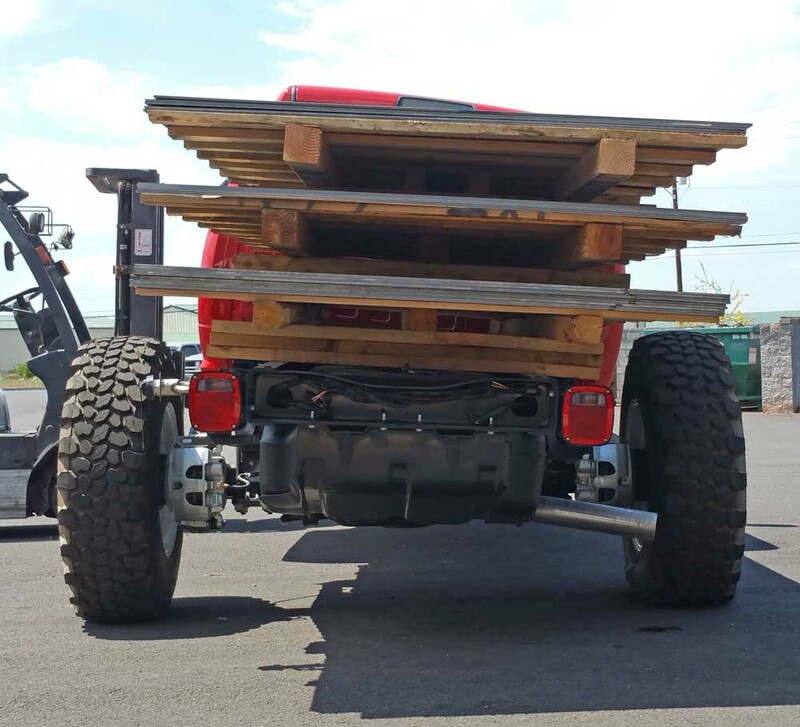 The Ram 3-1/2" Suspension Lift Kit is engineered to maintain OE coil springs, shock absorbers, and steering geometry. 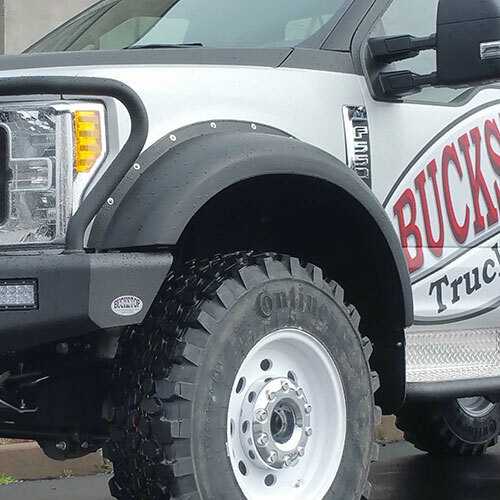 While simple in nature, the key components of the Buckstop Suspension Kit are replacement 4-Link Control Arms coupled with 3-1/2" Coil Spacers that move the front axle forward for greater tire clearance at the door. 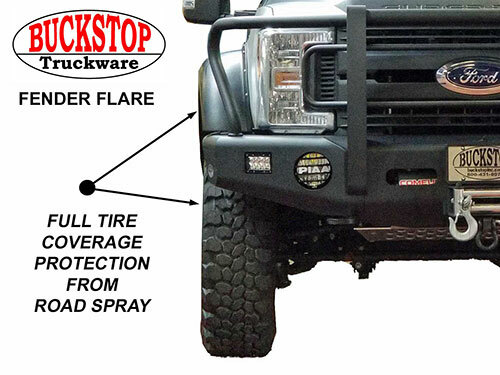 Buckstop exclusive Heavy Duty 3/8" thick steel Track Bar mount keeps the axle in place under the extreme weight. 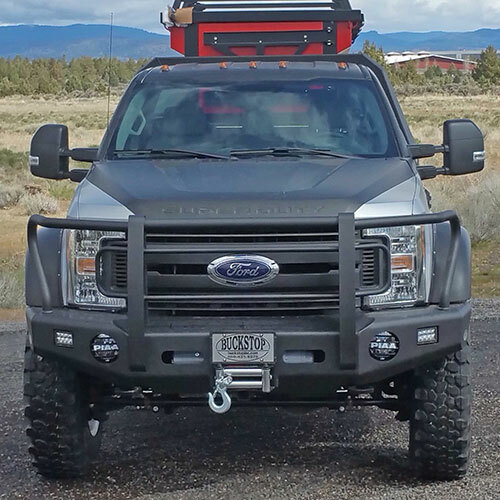 Around the rest of the chassis are relocation brackets for front and rear sway bars, brake lines, and driveline. 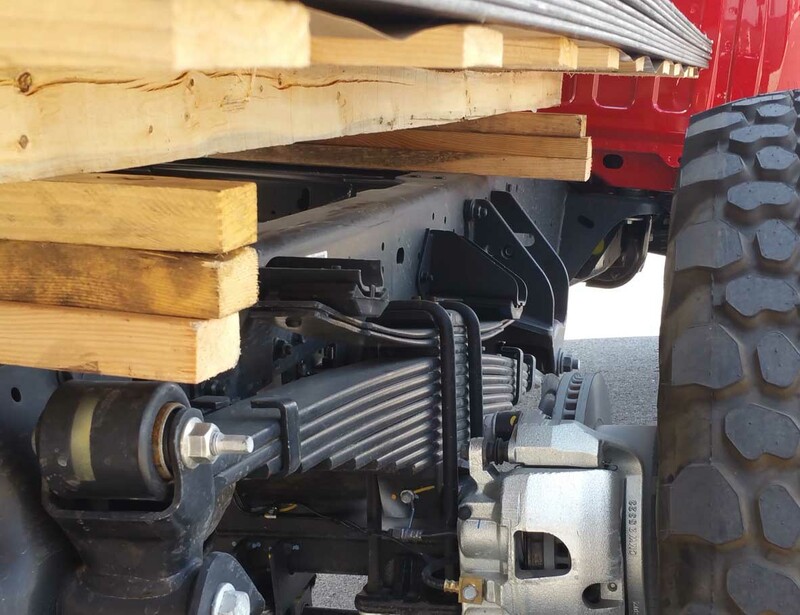 This innovative system provides the necessary clearance for the 41" tires without breaking the bank and excessively lifting the truck too high. 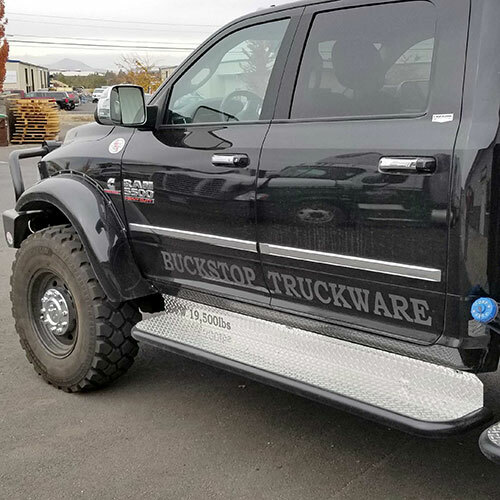 INCLUDED WITH BASE KIT.